Caper film “Gate” hopes to be “better than the news,” keeping the elements of comedy while reflecting reality by satirizing Choi Soon-sil. The main plot of the film centers on a group planning to rob a secret safe. The former thieves, a prosecutor, a hacker and two friends team up, each for their own reasons. 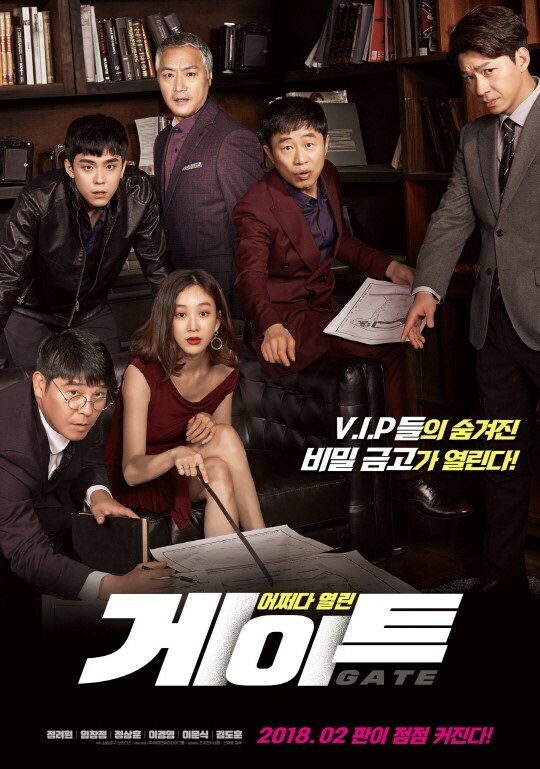 Veteran actors Jung Ryeo-won, Im Chang-jung, Jung Sang-hoon, Lee Kyung-young, Lee Moon-sik and rookie Kim Do-hoon form the main cast of the comedy caper. The film derives from director Shin Jae-ho’s everyday imagination. Shin used to wonder what it would be like to rob a bank. The story is highlighted by the use of black comedy, as the details are reflective of the Choi Soon-sil scandal that rocked the nation in 2016. Even the film’s title is a wink at the scandal, which was referred to as “Choi Soon-sil gate” at the time. Choi, a friend and adviser to former president Park Geun-hye, meddled in state affairs and abused her power, accumulating wealth in an unjust manner. The nation was startled by the shocking corruption, as millions of people gathered in the streets and demanded the removal of President Park. In “Gate,” a middle-aged woman sports makeup, outfits and speech all strikingly similar to those of Choi. “Films should reflect reality,” director Shin said. He had been writing a classic caper script, but seeing the scandal that caused an uproar, the details of the plot morphed. The director said that he was nervous to meet Jung. He knew that Jung was picky when it comes to choosing scripts. He practiced what he would say before meeting her for the first time. The crime-comedy film hits theaters Feb. 28.